Jo and I recently returned from 4 weeks in travelling through Spain and Paris almost exclusively using Airbnb. 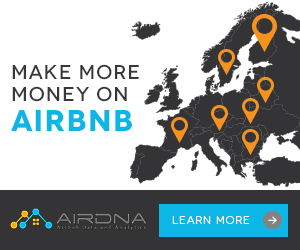 This post summaries our experiences, good and bad points and gives you tips on selecting the right Airbnb option when travelling in Europe in general. 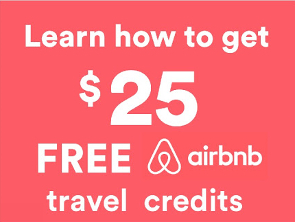 If this you are new to Airbnb, then signup using our referral link to get a USD$25 credit against your first stay. I’d always wanted to go to Spain and it was next on the list for a visit to Europe. The dates we could travel coincided nicely with Jos birthday which we spent in Barcelona. The idea was to have 3 weeks travelling through the most historic cities, seeing the sights, and trying to live like locals, in local neighbourhoods and getting as many dining out tips as we could from our local hosts. Our strategy was to stay in private rooms in the bigger cities and wherever possible so we could get suggestions from our hosts and mix up a few places with whole apartments so as to get some privacy now and then. The AUD to EUR was fairly reasonable (1 AUD = 0.71EUR) at the time of travelling and Spain is a relatively inexpensive country for Australians to travel in so whole apartments offered great value. Low floor – We were on a 4 week trip so a suitcase each was required with carry on. That’s a lot of luggage to lug up stairs. That being said this isn’t that easy to find in Paris and our last place was great but had 4 flights to negotiate – I needed the exercise anyway. 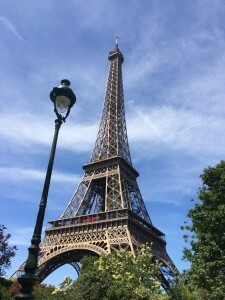 Our first 2 nights were in Paris – we had a whole apartment in the Marais/Bastille area which we found to be much more affordable than our first preference in St Germain de Pres. Our attempts to find an apartment in St Germain de Pres were fruitless with 5 rejections, mainly from what we can surmise was the fact we only wanted a 2 night stay and the hosts were declining anything less than longer stays. We found the area around the metro St Sebastian Froissart to be cool in any case, and as long as you are close to a metro stop, anywhere in Paris is only a short ride. Our Airbnb in Paris looked excellent in the listing pictures and was easy to find and nice and comfortable, the only slight downside being the bath was quite awkward to get in and out of when showering. Communication was good and as were arrival instructions. We never actually met our hosts but they were apparently only a call away. My request for 1 good local bistro that they recommended however did not illicit a response, so we went with an old favourite – Willys Wine Bar down near Opera metro and weren’t disappointed. So off to Barcelona! The direct TGV is recommended from Paris to Barcelona, just over 5 hours speeding through the beautiful French countryside – the only downside – no WiFi. Italian trains all feature WiFi so not sure what is holding up the French & Spanish from offering the same. Our Airbnb apartment in Barcelona was a private room staying with Eva in the El Born district was in a good locals area away from the Placa Cataluyna and we were made to feel most welcome. She also provided us with a number of good local bars and tapas bars in which to grab dinner. We loved our 4 nights in Barcelona – a fabulous city and must visit on any trip to Spain. Next stop was Granada on a direct flight from Barcelona where we stayed with Antonio in one of his 2 apartments, ours was on the top floor. 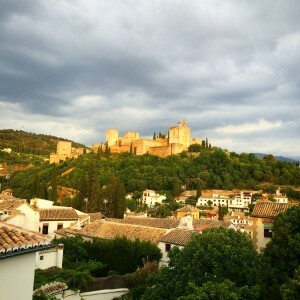 From the lounge room window was the breathtaking view of the Alhambra as well as the largest Airbnb we stayed in on the whole trip. Antonio was super friendly and gave us some marvellous restaurants to visit in Granada – he also helped us call a cab when leaving. Can’t recommend his listing enough. More detail here on Jos blog. Have a number of local restaurants & bar suggestions. Make sure these aren’t the standard tourist haunts, Airbnb travellers generally like to visit local venues and eat the locals food. A warm welcome an introduction to your listing always is well received. On to Seville, where our host had prepared the best (that I’ve seen) guest pdf which was literally 20 pages long. Our hosts were away travelling when we arrived so they organised the two students who were staying to meet us in the local square. Overall a pleasant stay, the shower was on the small size however. Host interaction was minimal as we didn’t see the girls again. Seville is a lovely small town with some great sights and worth at least 2 nights. Always disclose things like an awkward staircase as its better to disclose it than get a bad review due to it. Onwards to the capital Madrid, where we had selected a private room in a good central location. Our hosts also proved to be wonderful and friendly offering beer and nibbles on arrival. We had 3 fab nights with them in their lovely renovated apartment which we couldn’t more highly recommend. The bedroom was lovely and large and private, with it’s own huge, modern bathroom. Their local restaurant suggestions were also a stand out and made our stay in Madrid very memorable. We didn’t really have any expectations about Madrid but very much enjoyed the city and the relaxed lifestyle. 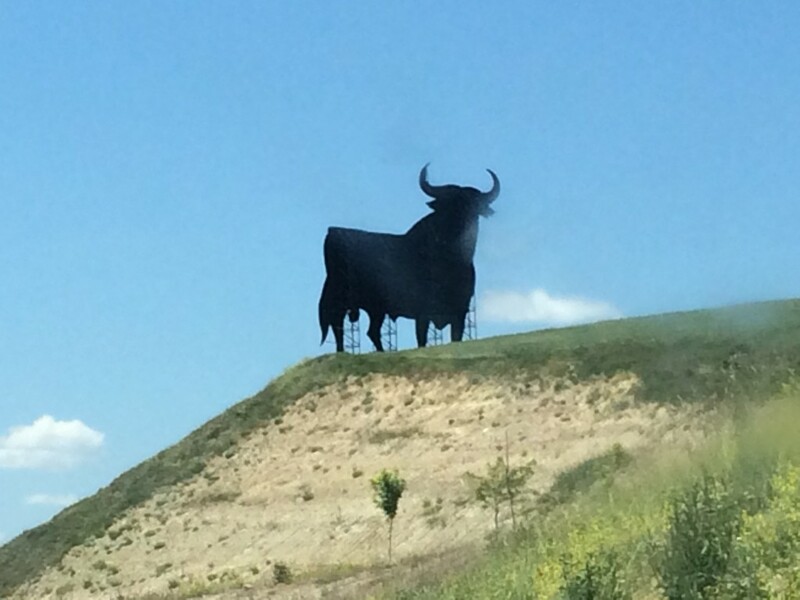 The next stop on the journey was the capital of the Basque country Vitoria-Gastiez. I had read about the gourmet delights of the this compact city and also had a former work colleague from there. It is also a great base to tour the Rijoa wine country just to the south. Our hosts Yolanda & Mikel were lovely, the studio within their apartment was the perfect size and modern and comfortable, as well as being very centrally located close to all the attractions & Pinxtos bars of the city. I also piked up a great tip on how to present all of your host restaurant, bar and shopping tips which I am going to do a separate post on soon. 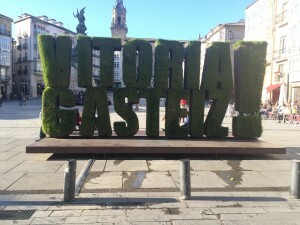 Vitoria-Gastiez was so much fun – read more here on Jos travel blog on the Pintxos bars in Vitoria-Gastiez. Prepare a Google Map with all the local restaurants, bars, grocery stores and transport mapped out. Next stop was the home of the Guggenheim Bilbao. Our host Carmen had the most beautiful decorated apartment and was the most generous and kind host. A superb stay with a lovely cultured lady. Her apartment is centrally located, luxuriously appointed and we had a superb 2 nights with her. Eva spoke no English but Jo had a ball talking to her via Google Translate on her iPad. Make sure you have it on your tablet/phone. 1 hour down the road to San Sebastian the beautiful beach city surrounded by mountains. Our host Iban was pleasant enough and we rarely saw him during our stay as we were out and about almost all of the time. San Sebastian was a difficult place (we found) to get good quality accommodation. My tip next time would be to stay a little closer to the old town of San Sebastian as that is where all of the night time action is in terms of Pinxtos bars. 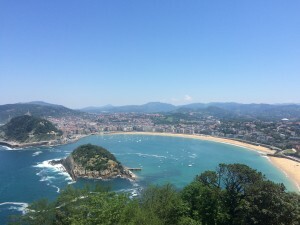 San Sebastian was an absolute standout for us, the scenery, weather, food and wine were unbelievably good. I’d seriously visit every year if I could afford to. 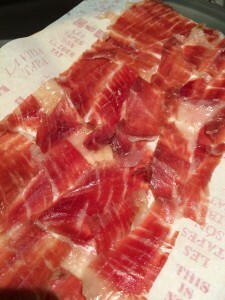 San Sebastian was so much fun – read more here on Jos travel blog on the Pintxos bars in San Sebastian. If you have guests staying in a private room, you should check on them at least once a day – Iban was a invisible while we were staying. Our last 3 nights were spent back in Paris, staying with Judith & Pierre in their 4th floor studio in the Marais. The studio was cosy, has a great balcony and modern bathroom, just what a couple need in Paris. The only negative is the 4 flights of stairs – but hey it is Paris and stairs in apartments are a fact of life – go stay in a hotel if you don’t like them. 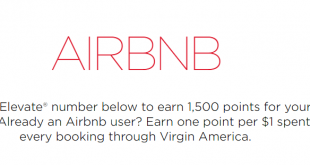 The lower cost of staying with Airbnb allowed us to stay longer overall. If we had stayed in hotels then to stay at the same standard we would have paid in the order of 20-40% more per night. 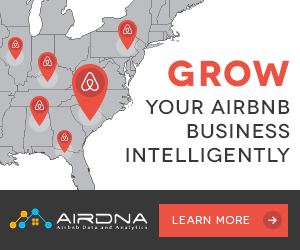 Staying with Airbnb can offer you different locations that aren’t in the tourist areas that hotels are often in, it allows a more authentic travel experience. It is more work up front – you really need to do your research to do a trip like this, I started months before. You need to check the host reviews, locations, and study the photos and amenities to make sure you know what you are getting. Check in/out is more difficult than a hotel, however the price makes up for the issue IMO. In Seville we had to wait for an hour for our meeting time, so we found a nearby bar and hung out in the square with the locals drinking beer. 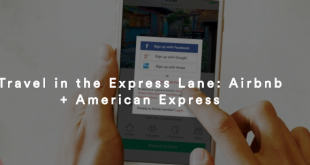 I hope this post has inspired you to travel the world (or at least Spain and Paris) using Airbnb, it can be done safely and in comfort as well as having a local provide some expert detail and recommendations for the local area. 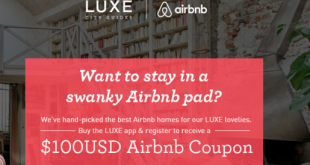 Next Want a USD$100 Airbnb Coupon Code?